Link building is a pain in the rear end. But it's also crucial if you want your website to show up on Google. SEO is impossible without it. 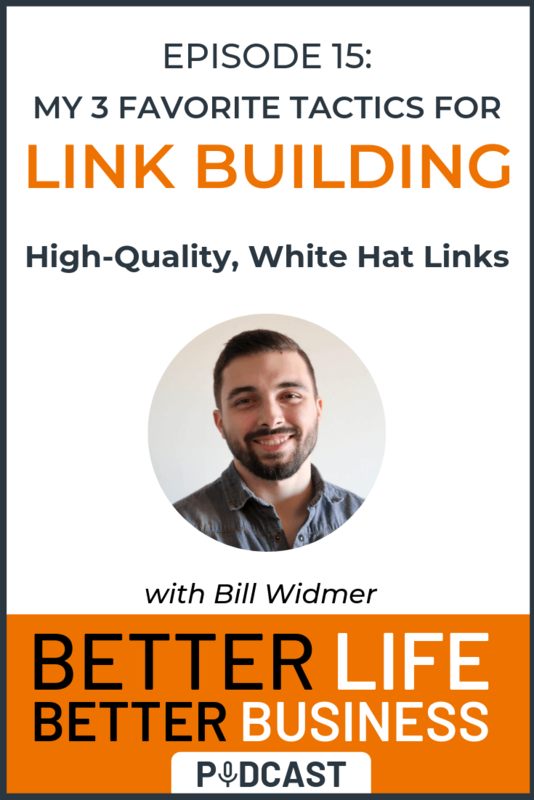 In today's episode, I share my three favorite link building tactics to get high-quality, white hat editorial links from high domain authority sites. Ready? I sure am! Let's dive in. How to build high-quality backlinks directly to your most important pages. How to find podcast interviews and guest posting opportunities. Why I love "friendship link building" and what it is.